In order to bring your remodeling projects to a whole new level consider the lighting in the space. In order to truly understand how the lighting in a room can spice up any renovation it is important to know what types of lighting is available and the best ratio of light to use within the space. To help we have created a list of different lighting options available to choose from. Lighting can be used in a number of ways. More often than not layered lighting is the best option to really boost your rooms appeal. When renovating the space consider how the three options below work together to not only provide functionality but also style, and beauty. Ambient Lighting: General lighting is considered ambient lighting and is used to create overall illumination within your renovation. Ambient lighting is the lighting is the usable lighting in the space. It provides the brightness that is needed in the room to proceed with the tasks that are done within the space.More often than not your renovations will include ambient lighting. This includes lighting that comes from the ceiling from ceiling mounted lights, recessed lighting, track lights, and chandeliers. Task Lighting: As the name applies, task lighting is in place to make every day tasks easier. Task lighting provides a small beam of targeted light for activities like working, cooking, reading, getting ready and more. Some examples of task lighting are floor lamps, reading lamps, under-cabinet lighting, stove lighting and more. Task lighting take away the imperfections such as glare and shadow. Accent Lighting: Much like you add a hat and scarf to your coat or earring to an outfit, accent lighting is used to add flair to your room. It adds a focal point within your room. Most accent lighting fixtures provide at least three more times the light then ambient light does. If you have incredibly high ceilings and you want to accentuate the height add an accent light to the ceiling. If you have a picture on the wall that you want to be the main focus of the room, try adding in sconces that project lighting on to the pieces. As you are planning for your remodel clarify your goals for the space and how the lighting needs to be utilized in the space. What will you be doing in the space? If you are renovating a kitchen are you looking to do more than cook and eat? Often times extra lighting is needed above an island area to illuminate the space for working or studying. Consider adjustable lighting as well in areas like a dining room so that the mood of the room can be changed depending on the situation. Your lighting should also take into consideration the style of your renovation. Modern lighting options don’t fit in aesthetically with country chic. When choosing lighting consider the different aspects of the room remodel you want to coordinate with. Next it is important to consider how much lighting you actually want and need. What is the right amount of lighting to make your renovation usable as it is intended too? Having too little lighting in a space may make the remodel useless which is the last thing you want for your new space. Consider the size of the space. A good calculation to make is that 40 lumens are needs per foot of room space. A 600 square foot room would need 24,000 lumens, 600 square foot x 40. Build a plan for your room remodeling lighting elements that begins with a central source of ambient lighting. You can build onto the lighting in the space from there. Task lighting is usually the next element that contractors consider. Do you need some glare free work space above the counters to allow you to easily measure ingredients? Do you need additional lighting over a kitchen island where you will be prepping meals or bake goods? Lastly, choose one interesting feature in the renovation that you want to bring attention to. Add in an accent feature to highlight the feature. If you have had an amazing arched entry add you may want to include wall sconces that shine light upward on each side of the entry to highlight the arch. It is also important to choose the right type of light bulb for each type of lighting feature. Will you be using all incandescent lights? Do you prefer LED bulbs? Are you okay with a combination of both? Most ambient lighting will use incandescent light bulbs as they provide a warm glow. LED lights are best used in task lighting where the brightness of the bulb helps to see what you are working on better. The last thing that homeowners want or deserve from their contractor is short cuts taken in their home improvement project. When doing any renovation around the home from installing a new door between your garage and your home, as in the picture above, or adding a new room onto an existing structure, the homeowner’s safety, now and in the future, is of utmost importance. One safety issue we have found in many house’s that we have worked on is the lack of fire stopping or fire blocking with in the walls and door jams of homes. Even though building codes and regulations state that fire blocking materials are included in construction, it is an all too often short cut that less than professional contractors take. Talk with any firefighter and they will agree that this is a huge mistake. Proper installation of fire blocks and fire blocking materials within walls and doorways is a property and life saver. People have been seriously injured or lost their lives because of the lack of simple fire stopping blocks. Fire stopping blocks are a simple component used in framing homes that when done correctly can help decrease the speed at which fire ravages your home, giving your family more time to escape. This building technique is not as common in older homes, thus leading to a total loss of many older homes. In modern day construction horizontal double 2×4’s can be seen on top of vertical studs to create a wall blocking system. 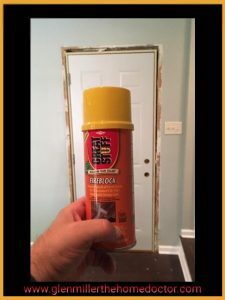 This helps to seal in the cavity and separate it from the one next to it which in turn works to prevent the rapid spread of fire throughout your home. Without properly installed fire stop, the framing in your home can act like many mini chimneys throughout the home. In older homes it was common to be able to drop an item from the homes attic only to have it shoot out on the basement floor moments later. With out a barrier between the floors, flames are sucked up through the walls, acting very much like a chimney. It may be hard to believe but the use of a single solid piece of wood at the top and bottom of the wall in between the studs can significantly reduce how fast fire spreads throughout the home. If a fire does occur within the wall, the top block will help stop the fire from shooting upwards and into the home’s attic. Fire blocking at the intersections of joists and walls as well as sideways between floor and ceiling joists can literally save your family. Another material that can be used in construction and during renovations is known as Fireblock foam insulation and fire barrier caulk. When a hole is created within the home it is important that it is filled. Not only will it help to prevent drafts, it also helps to stall fires from sneaking between the walls. 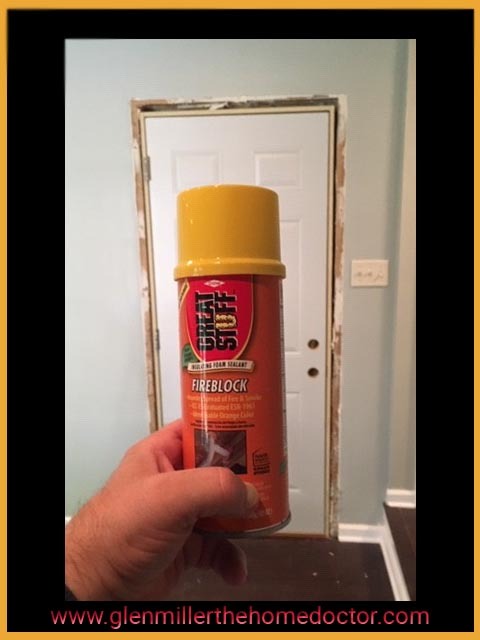 Fireblock products should always be used when contractors are installing door jams or have created holes. Plumbers, electricians, heating contractors, and even general contractors should all be well versed in the use of Fireblock products. Glen Miller the Home Doctor is a licensed general contractor servicing Livingston County and the surrounding areas. Glen offers a wide range of services including home maintenance plans, age in place remodeling, kitchen and bathroom remodeling, finished basements, and hardwood floor refinishing. More information can be found online at https://www.glenmillerthehomedoctor.com/. Just like avocado colored appliances the popularity of stainless steel will fade. It’s true, most kitchen and bathroom remodeling trends eventually fade out of existence as quickly as they found their way in. There are however a few trends that will withstand the test of time in your kitchen and bath. When it comes to cleanliness in the kitchen we are not talking about germs but instead the design of the space. Kitchen design trends that stand the test of time work with clean lines. Open shelving, cabinetry with glass doors or flat fronts, and overall simplicity is what keeps a kitchen from looking cluttered. Kitchen designs should offer enough storage for unsightly, infrequently used appliances. Counters should be clear of as much “stuff” as possible to promote this trend. Neutral kitchen spaces are something that never gets old. What gets old is brightly painted cabinetry and colored appliances. To create a kitchen that doesn’t show its age it is important to keep the colors simple. White and black appliances are always in style and are easy to enhance as trends cycle in and out. If you have ever had white cabinets or any light-colored cabinetry you will understand that it is difficult to keep them clean. Unless you have hours on end to spend cleaning your kitchen it is best to stick with the ever-stylish look of dark cabinetry. The use of exotic dark woods is another option that we find never seem to become outdated. It is important, especially in open kitchens that the appliances used blend into the entire space. A home that flows from room to room never ages. The more “hidden” appliances are, the more likely they will blend right in as another piece of furniture within the space. No longer are large scaled ranges and huge steel refrigerators necessary. Instead opt for long lasting pieces that conceal themselves within the design. Once upon a time there was this fascination with moving from one home to another. People didn’t want to live in the same home for more than five to seven years. Today however, homeowners are looking into ways to keep their homes ageless. They want to live in the same space forever, more commonly known as ageless design, universal design, or age in place renovations. This means making sure your kitchen design is universal. Layered lighting, counters of multiple heights, drawers that pull out, and kitchen cabinets hardware that is easily opened are all design options that will withstand the test of time. When it comes to renovations the kitchen is a complex home improvement projects you can get involved in. As a homeowner you must make all decisions throughout the renovation project. The kitchen has changed from a place of simple food preparation to an open area, multi-functional space that is the soul of your home. No matter what size, the kitchen is a big part of every modern household. Kitchen design contractors consider several elements including the size of the space, the desired style, trends, and the best use of space when preparing for each unique kitchen renovation. This installment will help offer you suggestions on the working with your contractor on planning for your new kitchen. Your contractor will go over elements such as appliances, cabinetry, surfaces, and finishes as well as material to use and extras that you desire. Soon your dream kitchen visions will become a reality. Before you sign on the dotted line and hire a contractor there are a few questions to ask that will help you make sure you know exactly what you are getting yourself into. These questions will help ensure you stay within your given budget, your home is secured while contractors are working on the home and that you get your kitchen put back together in a timely manner. How will you itemize your bid breakdown? Tell the contractor to itemize the bid by breaking down the bid into stages, this will give you a better understanding of what you are been charged. Some contractors will supply you with an overall quote, but that’s not the best way to go if you want to make sure your contractor isn’t overcharging. What are the extra costs outside the original quote? Before your final deal signed with the contractor, make sure he or she isn’t going to add on extra fees without asking you first. This you make clear to him/her during the process of deal negotiations, that you will not bear or accommodate addition fees which are outside the real deal. Some contractors charge for things such as demolition, junk removal, painting, and other tasks. In some cases, you may be able to handle these things yourself to avoid extra charges. Who are the members of your team that will be working on the renovation? Security of your home matters, and it is foremost in a situation like this. Depending on the size of the contracting company, there might be few or many workers deployed to your home on daily basis during the period of the renovation, if you have children, pets or other valuable, it’s important that you get to know your contracting team before allowing them to enter your home. Once hired, you want to secure a plan with the team to make sure they’re properly locking doors, securing pets and keeping materials out of harm’s way. What is the time frame on our kitchen remodeling? Naturally, the duration of the project should be well spelled out; this will enable you to have proper time planning during the project execution having known the start and end date. It’s only natural to want a detailed timeline of your cabinet installation. Time contractors take in your home is time spent away from your kitchen, and it can be hard to spend several weeks eating out. You may even consider setting parameters for your contractor and asking for discounts and other incentives if work isn’t completed in the time frame you’ve agreed upon, and this will also propel the contractor to work hard to enable him to meet the time frame. Can you provide references? Do you offer a warranty on your work? You might meet contractors that will play down on you with the pretense of giving you the best of renovation job, as such you need more assurance that you are dealing with the right contractor, and you do this by looking for contractors that will guarantee their work with written warranties. If they don’t offer one at the outset, make sure you request one to protect your kitchen from sub-par workmanship or low-quality materials. Also, if the potential contractor wasn’t recommended to you by someone you trust, or even if they were, it’s perfectly acceptable to do a little reference work yourself. If your contractor is happy to supply references, give past clients a call and gauge their overall feelings on the completed work he has done for them before now. You have finally decided that it is time for those kitchen renovations you have been thinking about for so long and now you are faced with the 101 important decisions that goes into every kitchen remodeling task. One of the most important decisions is in regard to kitchen cabinetry since they take up a great deal of space in your kitchen and are the first things most people notice when entering the room. Along with the style of your kitchen cabinets you also must decide whether to go with dark or light cabinetry. The decision to have either light or dark cabinets will depend on many things including your own personal preference and even the reason for your kitchen renovations. Here is a look at the benefits and drawbacks of both light and dark cabinetry. Choosing light cabinetry can make a small kitchen look larger and if they are the same color as the walls and back splash they can also make your kitchen appear more spacious. In addition, light cabinets especially those that are white gives your kitchen a more sanitary feel. In addition, light cabinetry is suitable for any wall and counter top color. However, you do keep in mind that light cabinets show dirt far more easily than dark cabinets so may not be a good choice for families with small children. Light cabinets also show wear and tear more such as cracks more easily dark cabinets. However, if your kitchen remodeling is being done in order for you to sell your home for a higher price the recommendation is that light cabinets may help the overall price of your home more than dark cabinetry. Dark cabinetry on the other hand can work well in larger kitchens especially against a light-colored background such as your walls and back splash as well as a kitchen with good lighting. Dark cabinets add a warmth and richness to your kitchen you don’t get with light cabinets. They also can look quite sophisticated depending on the style of cabinets you choose. For example, dark gray kitchen cabinets can look stunning against light walls and light marbled counter tops. Dark cabinets are less likely to show dirt so may work better if you have small children in the house. They are also less likely to show wear and tear such as cracks. There are other considerations that go into choosing light or dark cabinetry when doing a kitchen remodeling. One of the most important considerations is your own taste and the style of the rest of your home. If all of the furniture throughout your home is dark, then light cabinets may look out of the place with the rest of your home. The reverse also is true, dark cabinets may look out of place in a home that is mostly light neutral colors. As you can see when it comes to light or dark cabinets one is not clearly better than other it just depends on your own personal style and taste and the reason for your kitchen renovation project. As people age, there always seems to be more and more limitation that makes it difficult for them to be able to do the simple things that they once took for granted. Whether it not being able to climb the stairs like you used to, to be able to stand for long periods of time or even reach items in the kitchen like you used to. All of these things could happen over time or change due to a medical issue that makes it difficult to do the things that you use to do with relative ease. These days more and more families are taking in their senior parents rather than see them have to live out their senior years in a home. While some medical reasons may make that necessary, most people would rather make it where their parents can either stay in their own home longer or simply move into their home. To be able to do this there are often things that can be done to remodel their home or your home in order to make life a bit better for them. Some things are quite easy and other things will require a bit of remodeling and that usually means hiring a contractor and could cost a pretty penny. Below is a short list of some of the things that we came up with. Remember, not all of these will apply to your unique situation. Pay attention to the specific needs of your senior parent or loved one – Always remember that you are doing this for your loved one and you need to include them in any changes to be sure they fit with them. One size remodeling truly does not fit all. Be sure you have a complete plan of what you want to do – Be sure to formulate a plan and put it in writing so that you have something to follow when you go to put your plan into action. If you have any doubts bring in a professional to evaluate the home – While you may be able to come up with some good ideas, you may want to have a professional come in and evaluate the home and make some recommendation. Remove any obstruction in all access points – A very simple change that virtually anyone can make is to remove any and all obstructions at points of entry in a room. When you have difficulty walking even a bump in the carpeting can cause an obstruction. Talk to all of the professional caregivers of your parents to get ideas – Another great resource for you to consider is to talk to all of the people who provide care for them to get some ideas on how to make their home life better. Get a professional contractor – When the time comes that you need to do any type of structural changes to your home you should bring in a professional contractor for advice and help. No-step entry is the first best step – Like the obstructions at all access points into/out of a room, a no-step entry point into and out of the home is a must. This will more than likely require you to hire a professional. Consider pocket doors versus swinging doors – Turning door knobs and twisting handles on doors can be difficult for seniors, if it is possible you should consider replacing all of them in the home. Electric stair lifts – Having a two-story home climbing stairs for many seniors is not only a chore but at times it can be potentially extremely dangerous. If you can afford it look into the electric stair lifts, it will give all of you peace of mind. Reconfiguring the home – If climbing stairs are completely out of the question then you should immediately look into reconfiguring the lower level to have everything on one that level for them. Home remodeling takes a lot of your time, energy, focus, and money. Whether you are renovating your bedroom, bathroom, lounge, kitchen, or even the entire house, you must plan everything from your budget to the color schemes and how to make it all work together. In home improvement, kitchen remodeling is the most lucrative as well as painstaking. It is the center of every function in your house. It is especially difficult when you must live in the house as it is being renovated. Contractors do their best to work with families throughout this stressful time to ensure that homeowners can still use parts of their kitchens. To simplify the predicament, we have made a list of top 5 tips to help while you are having your kitchen space remodeled. Before you start remodeling, you must determine that how much money you are willing to spend on home remodeling. In the case of remodeling a kitchen, you must decide that you want a low-end, medium-end or high-end kitchen. For that purpose, you can scan the market and your residential area that what type of kitchen designs are being adapted there. From that you can decide for the optimum choice that you want to consider for your kitchen. Kitchen remodeling contractors will often help homeowners with this process. If you are on a budget, home improvement plans can be a tricky situation and in kitchen remodeling changing your plumbing and/or your kitchen layout can be even trickier. As a rule of thumb, if you change one section of your plumbing or move the position of your appliances, it adds an extra $5000 to your budget. It looks very easy to change your plumbing and floor plan, but in fact it is not easy at all. Whatever you decide to do, you should always keep in mind the triangle shape between your stove, refrigerator and sink for the optimum use of the workspace and traffic flow in your kitchen. New cabinets, new flooring, and new appliances are not the only solutions to consider when having your kitchen remodeled. Refacing existing cabinets, adding splashes of color, updated hardware and accessories can make a lot of difference. You can add a new life and buzz into your kitchen by incorporating contrasting colors in it. It will give a visual interest to your kitchen. It is important in all home improvement projects that you choose a color pallet that accentuates all the good features within your home. Similarly, in your kitchen you can make a contrast of a bold and a neutral color or if you are going for a monochromatic look, you can choose contrasting tones. There are many ways to renovate your home and kitchen. When deciding what and how you want each space done consider why you are remodeling. Are you remodeling spaces to add functionality or mainly for aesthetic purposes? If it is for functional purposes? If yes, then many times your renovations will be a bit costlier as they may require moving walls, electrical outlets, lighting, and plumbing. If you are remodeling mainly for aesthetic purposes and a change in the look of your space is desired then changing the color of paint, updating accessories, and some modified lighting may be more than enough. We hope that the tips that we have mentioned above will give you the idea on tips and tricks required while remodeling your kitchen. JFC Remodeling, out of Howell, Michigan, offers a variety of construction services for the home including: kitchen and bath remodeling, flooring renovations, and home remodeling. You can find out more information at http://www.jfcremodeling.com or by reaching out to our home renovation specialists at 810.923.1123. A kitchen renovation is one of the smartest ways to add value to your home and you can achieve this by hiring a licensed contractor. Real estate experts agree that a well-designed and updated kitchen attracts buyers. Whether you are doing a complete kitchen remodeling or simply making a few updates, homeowners can improve the appeal of their home and increase the value with a professional kitchen renovation. According to the industry, a homeowner can expect to recoup about 95% of the cost of a major kitchen remodel. This makes it one of the best remodeling choices for homeowners looking to increase their home value. A modern kitchen makes your home more valuable and more attractive to buyers when the time comes to sell. The kitchen is the heart of a home. It is a place to gather as a family, visit with friends, and share meals. Because it is one of the most popular rooms in the house, kitchens tend to suffer a lot of wear and tear over time. Countertops, appliances, and flooring can get worn and damaged, decreasing the style and appeal of the room. Below are some common areas of interest that are addressed in remodeling. Kitchen renovations may include knocking down walls to add space or redesigning the layout to improve functionality. Homeowners have the chance to design the room they have always wanted. Make the most of it by increasing storage space and improving traffic flow. Consider upgrading your appliances to high-efficiency models. Not only can they save you money in energy costs, you may be eligible for tax rebates. Be sure that your electrical wiring and plumbing are properly installed by a licensed contractor to prevent damage and ensure that your appliances will work correctly. Your existing cabinets can be re-surfaced, or you may decide to replace them entirely with new ones. A licensed contractor will help choose a countertop surface that will blend well with your cabinets. Stone, especially granite, used by a licensed contractor when doing your kitchen remodeling gives your kitchen an up-scale and classic look that will last the lifetime of your home. Hardwoods and ceramic tiles are the most popular choices for kitchen flooring. Both materials are attractive to buyers and need very little maintenance to look good. Lighting is extremely important in the kitchen. Ambient lighting will keep the room bright. Task lighting illuminates the food prep and cooking area. Under cabinet lighting can accentuate the beauty of your room. A wall color that will accentuate your new cabinets, flooring, appliances, and countertops. Consider the addition of a colorful backsplash or accent wall to create a focal point in the room. Kitchen remodeling is a large project and can take months to fully complete. Discuss a timeline and a specific budget for your project with a licensed contractor so you will know what to expect. Not every homeowner is willing or able to complete a large-scale kitchen remodeling. Even minor improvements can change the entire look of your kitchen and make it more appealing to potential buyers. Whether you are selling your home or simply want to improve the room’s appearance, small projects like painting or replacing outdated appliances with a licensed contractor can make a big difference to the value of your home. Kitchen and bathroom renovations are the in-thing and for good reasons. There are stunning kitchen cabinet designs that you will love to have for your kitchen’s new facelift. If your kitchen’s layout works for you, you do not need to spend thousands of dollars for a complete kitchen remodeling. Instead, work with a licensed contractor to design your kitchen improvements to keep some of what you have and replace the cabinet doors or fronts depending on your budget. Glass is very versatile and can be used in almost any part of the house to create a luxurious feel. You want the help of a licensed contractor to help you chose a high-quality glass so that it remains flush with the cabinets for its entire lifetime. Instead of leaving the doors bare, your contractor can add an X-design on the front to give it a sophisticated look and finish. Warm, soft shades of brass, burnished copper and hammered bronze are all the rage right now and has recently appealed to designers as a modern interior trend. These elements are a fantastic alternative to traditional fittings. The good thing brass matches with any color, making it ideal for a kitchen, and because it is reflective, it will make your kitchen look bigger. Brass and copper add an earthy feel to a kitchen when used on the kitchen islands, cupboards or stovetops, plus cleaning is a breeze. The metallic screen door pattern can either be of chrome, aluminum, bronze, or brass and can be used on the doors to add a touch of luxury and to let the cabinets breathe while at it. If they are not too busy looking for your space, exposed hinges give a period feeling to any kitchen. Imagine white or brown wooden cabinetry with rustic, or black exposed hinges. Think clean lines, muted monochrome colors, and minimal embellishments. Installing lights inside your cabinets is not only functional, but it also enhances the décor, saves energy, and brings about a soothing ambiance. A kitchen is not complete without a modern backsplash that will fit in with your cabinets and transform your entire cooking space. Backsplashes come in a wide variety of colors, styles and materials such tile, stone, glass, ceramic, that extend from the countertop to the ceiling to lend a contemporary look and warm up a sleek, contemporary space.